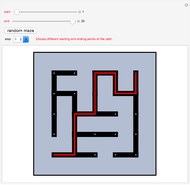 This Demonstration shows three steps in creating a maze. 1. 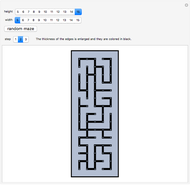 Choose the size of the maze. 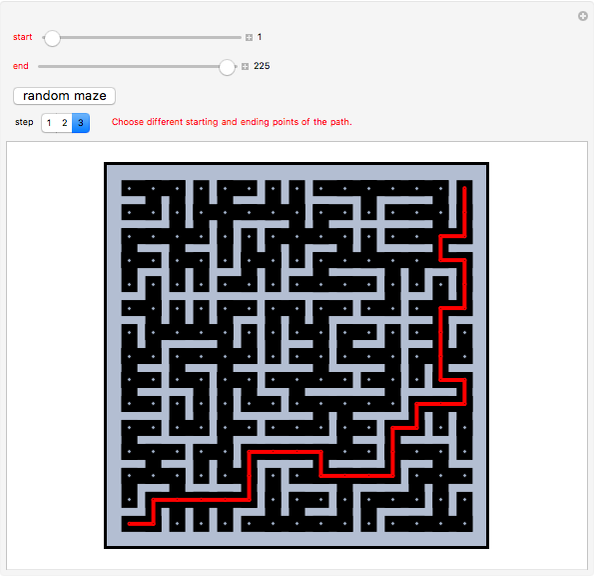 The maze is represented as a random spanning tree of a grid graph. 2. 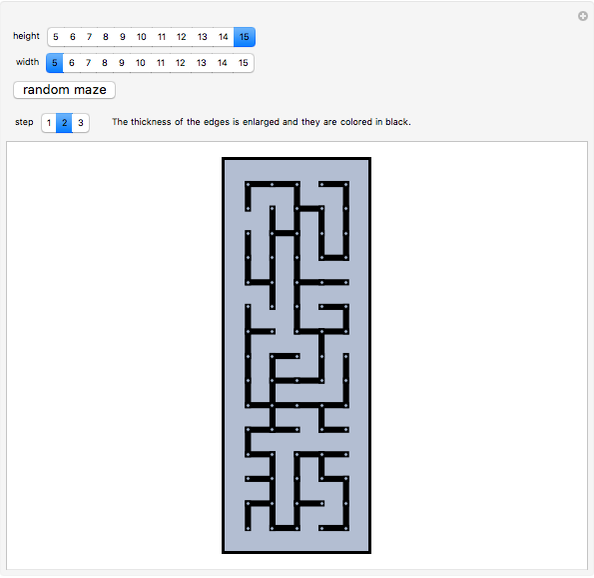 The maze's appearance is enhanced by enlarging the thickness of the edges and coloring them black against a blue background. 3. 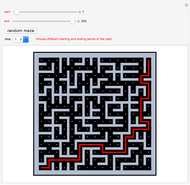 Finally, you can choose the starting and ending points of the desired shortest path. 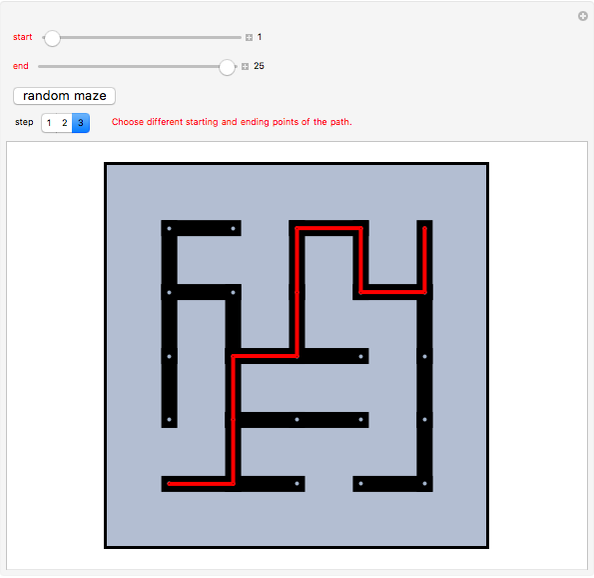 Jaime Rangel-Mondragon "Mazes Produced by Random Spanning Trees"